Your generosity is helping keep Interfaith Sanctuary Housing Services on track to win matching support from the Home Partnership Foundation, which will greatly help us continue to provide emergency shelter and supportive services to over 900 individuals in need throughout 2015. To get us through the final stretch of the Avenues for Hope campaign, we need your help in expanding our reach! We encourage you to invite friends and family to help multiply the blessing of providing shelter to people experiencing homelessness in our own community. As you know, the Avenues for Hope campaign is a competition between Idaho non-profit agencies. As of Tuesday, December 30 at 5:30 pm, Interfaith Sanctuary is in 4th place for the total number of gifts. With approximately 45 more gifts of $25 or more, we could move into 3rd place and receive a $5,000 award (1st place is $10K, 2nd place is $7K, 3rd place is $5K). An additional $5,000 would help us provide 500 nights of shelter and supportive services for an individual. The good news at the moment, is that Sanctuary is #1 in the dollar amount raised, but only by a margin of $2,000. The deadline to give is midnight, December 31 (tomorrow!). Remember that each person’s donation is only counted towards the contest once, so please consider breaking your larger donations into the increments of $25 (ex: $100 into 4 donations of $25 by 4 people; this can be a spouse, child or grandparent – anyone with a separate e-mail address in whose name you would like to donate, or to encourage to donate)! Gifts in increments of $25 and $100 earn Sanctuary special match bonuses and are encouraged. Of course, ALL donation amounts are welcome, as total gifts are tallied for additional match opportunities, but they must be received at: https://interfaithsanctuary.org/afh/ by midnight on December 31st! So, to realize the all the blessings of giving, including a year-end tax-deductible status and grant-matched awards, rally your circle of friends, post on facebook, forward this email to friends, and hurry to donate to Interfaith Sanctuary now! We THANK YOU for your support and wish you many blessings in the New Year! P.S. 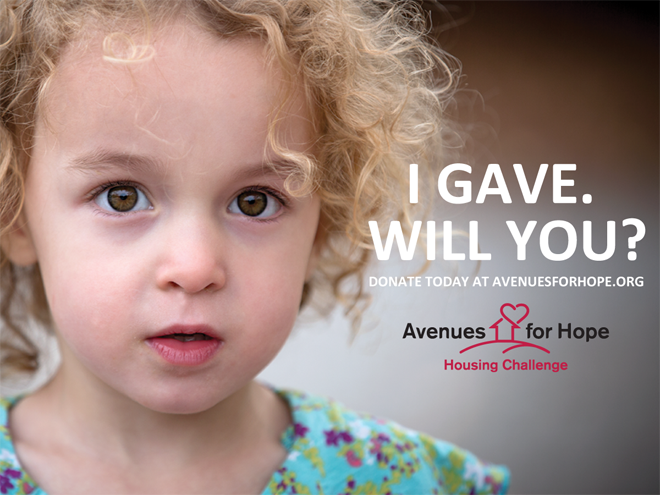 You can track how we’re doing by clicking on the leaderboard tab on the top bar at the Avenues for Hope website(https://www.avenuesforhope.org/#npo/interfaith-sanctuary-housing-services).